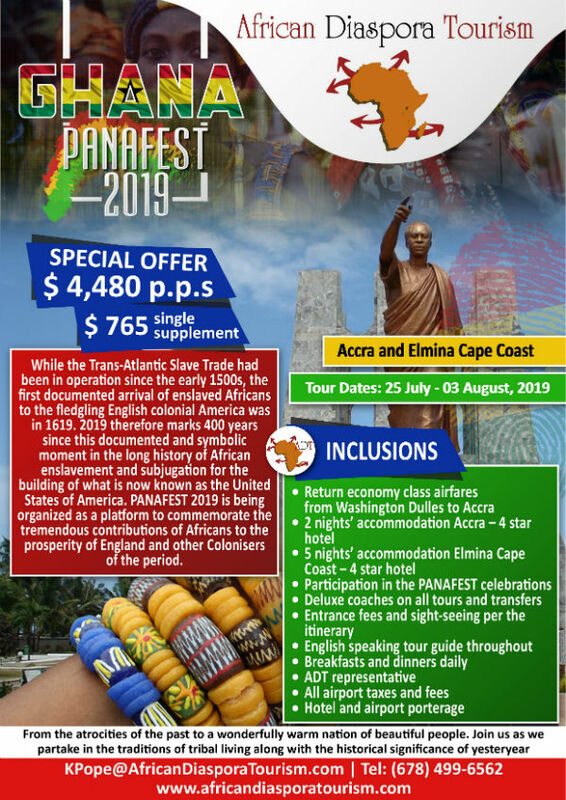 It’s that time again for the annual Ghana Panafest Celebration 2019 from July 25th – August 3rd, 2019. 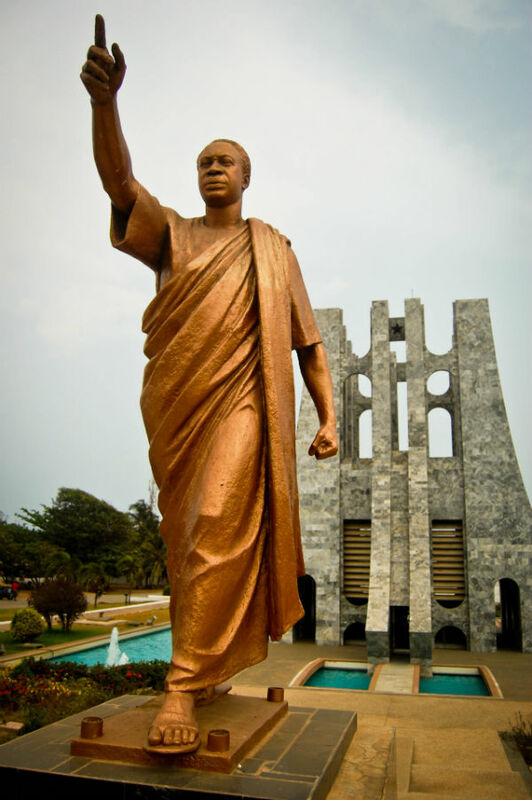 The flight Departs the USA on July 25th, 2019, arriving Accra July 26th, departs Accra August 2nd, arriving in the USA on August 3rd, 2019. The cost of this fully inclusive fully escorted tour is $4,480 per person twin share Single occupancy supplement $765 (African Diaspora Tourism will help you find a roommate if needed). Trip Payment Information To guarantee your seat, an initial non-refundable deposit of $300 is required which will be credited to the total cost. A payment of $1,500 is required to be made on or before April 1st, 2019. The final payment is due by May 15th, 2019. Payments of $300 or more can be made at any time. The amount of $1,690, the airfare charge, can be paid by credit card (Visa, MasterCard, & American Express – some credit cards add a tax when the charge is made by foreign travel agencies, so please check with your bank). Business class airfare is $4,150. This entry was posted in Africa, Sponsored Love, tourism, tours, travel and tagged African Diaspora Tourism, Ghana Panafest Celebration 2019, kitty pope by Harlem World Magazine. Bookmark the permalink.